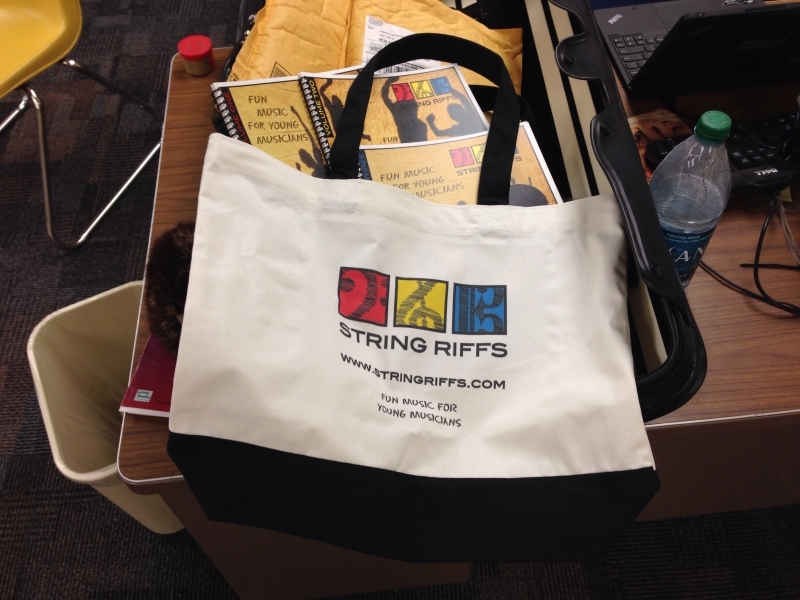 If you choose to collect all of the String Riffs Volumes and CDs, you will receive a discount and a free tote to carry all your purchases. $435 will get you 72 pieces, including 3 cello ensembles and pieces ranging from absolute beginner thru Level 3, there is even a song by my Dad in the mix. $6+ Per piece And a tote.